A heat pump is a device that works by moving heat from the source to a heat ‘sink’. A heat pump can heat the house as well as cool it by reversing its cycle. It is made up of two parts- an indoor unit called an air handler and an outdoor unit similar to a central air conditioner. A compressor circulates refrigerant that absorbs and releases heat as it travels between the indoor and outdoor units. Heat pumps are of two types, air source heat pumps that source it from outside air and geothermal heat pumps that soak heat from under the ground. Here is a checklist that will guide a buyer of heat pump about buying the correct one suited for his house. 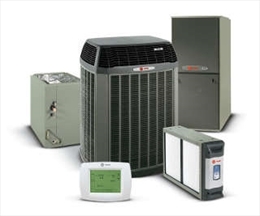 Size of a heating and cooling unit is pivotal importance to get the ultimate comfort from it. It is also important for efficient operation. Buying a large heat pump will demand a high initial investment but may have lower operational cost. On the other hand if you buy an undersized heat pump you may pay a few dollars less but it will soon be compensated with high operational cost. Therefore it is always better to buy an optimally sized heat pump that is suited to heat and cool your property. You should consult an expert contractor before deciding on the size. Efficiency of heat pump is expressed in COP (Coefficient of performance). It refers to its heat output capacity, i.e. produce heat against the energy consumed by it. For instance if a COP of a heat pump is 4, then it produces 4 times the heat energy to the electrical energy consumed by it. Do not be amazed by the COP that you see on heat pump’s label. There are other factors. It will vary with outdoor temperatures. The greater the difference between the outdoor and indoor temperature, the less efficient the pump would become. You should know that the efficiency of a heat pump is audited in a specific operating condition, for example 0 °C/35 °C. It implies that the incoming brine is at 0 °C and that the heat pump gives 35 °C to the heating system. Therefore always know the annual efficiency of heat pump before you buy it. This implies what efficiency a heat pump can achieve averaged over the course of year, winter and spring, and day and night. These days heating cooling units and can accessed and operated through remote controls. You can set temperatures and reset it when you are away from the house in a remote location. The heat pumps also come integrated with such technologies whereby they can be controlled by smart phones. In summer a heat pump can cool the house by circulating a cooling liquid through the loops. The cost of such cooling is quite low. It is equal to energy consumption of a couple of light bulbs. This technique is also called passive cooling. It is s done by all heat pumps except an air source heat pump. Sometime passive cooling is not enough to cool the house, in such a case the heat pumps can be fitted with a compressor to produce even more cooling. Once you buy a heat pump contact a good contractor to install it. A good product and perfect installation is secret to a successfully running heat pump success. A heat pump runs throughout the year and require minimal maintenance. Read the warranty on heat pump carefully. Do not be attracted by the length only. Take a look at what it covers.